Air Sports Books - Books on Sports - Sport Books: Catalog of books about your favorite sports. 2019 Air Sports books on sale now. Buy your 2019 Air Sports books with us today. We have many Air Sports books to choose from and each purchase comes with the ease and convenience of Sportspool's online experience. We hope you find the Air Sports book that is perfect for you! 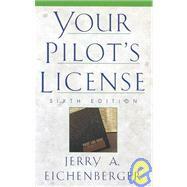 "One of the best nuts-and-bolts guides for learning to fly, now in its 6th edition. This quintessential handbook for aspiring students and new pilots answers the questions most often asked about obtaining a pilot's certificate, including airplane anatomy/flight theory; GPS navigation and operation; piloting techniques; weather--icing, services, preflight advisories; instructors and flight schools; and more 100 illustrations."